Sites near Leicester open this weekend? Anyone local to Leicester or the surrounding area? We're staying in Leicester with a mate from the Uni, so I've found The Grange Farm which we're hoping we can get to instead, anyone know if there's public transport to, or near to, the site? 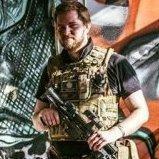 What about Skirmish Airsoft Leicester and Coventry, or MAW? All from Leicester city centre. For the grange. Look for Berkswell station. Its on the main line from birmingham to northampton (runs through cov). You then have a 30 min walk to the site, but its pretty much along a straight road though town. On the 16th though the game is actually at RAF Honiley (woodland CQB) which is 10 mins drive from the Grange itself. People usually will give you a lift if you ask nicely though as everyone books in at the main site. £36 for the day though. Looks like Mr. Henriques is going to drive me to The Asylum. I'm almost glad the booking for The Embassy fell through. In fact, scratch that. I am glad lol. Doubt the uni team will be skirmishing this weekend due to moneys, otherwise i'd be telling them all to come down.